Years before the Crusades, Jean Beaudoin was working to provide free passage to the Holy Land for Christians. 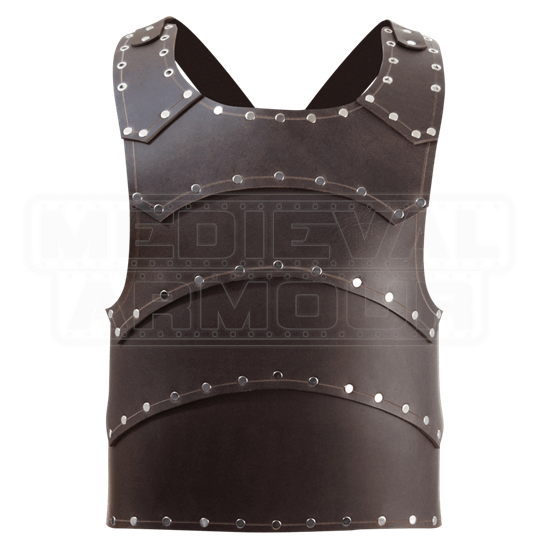 This Baudouin Leather Breastplate is named after that benefactor, and thus echoes a look that befits just about any early era Crusader. And that is not even mentioning how protective his breastplate of leather is! 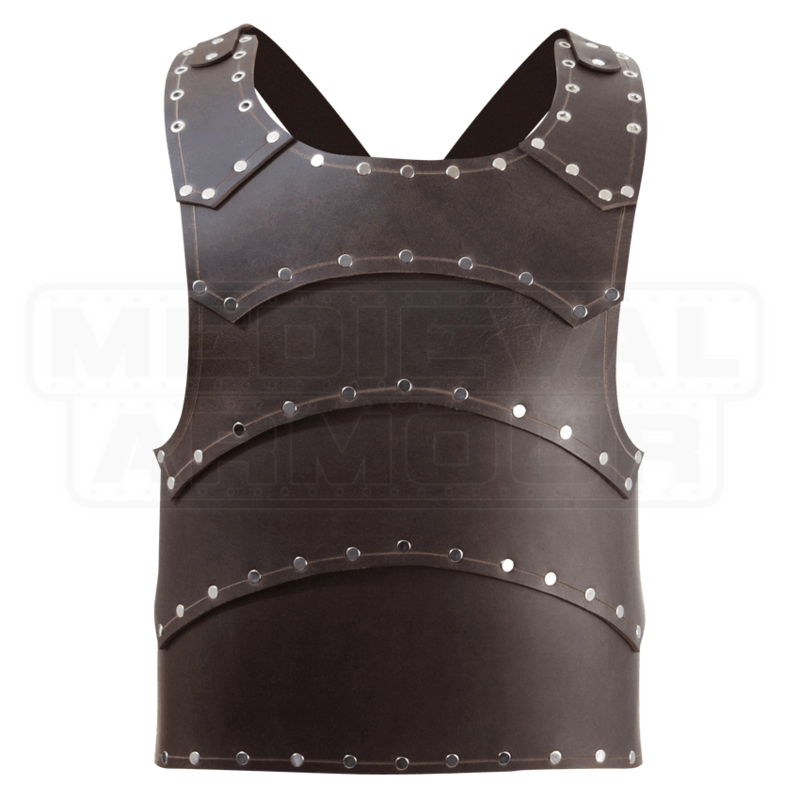 This breastplate is crafted entirely in 9-10 oz. rigid buffalo leather, configured in a classic lamellar style. A series of lames, or leather straps, are successively layered, from the shoulders down, to create an armor that is not only protective, but also durable, making it a solid choice for light reenactment, heavy costuming, and of course, rigorous LARP battling. The unique layering also creates an impressive design that is quite the sight to see, as well, making this a choice piece of armor that any warrior will no doubt love to wear, as much for the protection it offers as for the amazing style it confers. It also features a series of open laces on the shoulders, which allow for some styles of pauldrons to be attached to the armor, as well. It is available in four sizes, and each size features a quartet of leather straps with buckle closures for wearing. One strap each goes over each shoulder and crisscrosses over the back, while the last two secure around the back. Because it fits more around the waist than the chest, the armor is sized according to the waist, as opposed to the chest. Subtle curves give this Baudouin Leather Breastplate a subdued design, one that will perfectly suit the style of any fighter who dons it, whether they are aiming for a noble look or for the appearance of casual mercenary, who will take on any job, so long as the pay is right and the challenge is good.